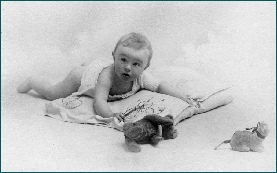 We now know that he was born on 6th October 1922, that ‘he told one of the boys that his middle name was “Ethelred” and said boy believed him for over 40 years….’ (His middle name was actually Ernest.) ! Former pupil Graham Curtis remembers his enthusiasm for motorbikes well . Wilfrid told him he had once had an Ariel Square 4, - a big 1000 cc motorbike. 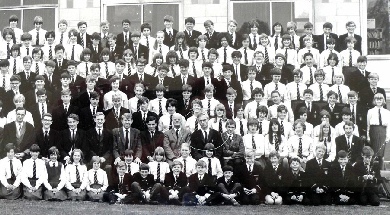 “I am one of many Cotswold children who went to Westwood’s Grammar School. Northleach, & there met the lovely Wilf. To my shame, we boys & girls weren’t always as well behaved as we could have been, & at times we sorely tried him, but in 1992 & 2002 our particular year set held a ”20 year-on" & “30-year on” reunion, & Wilf honoured us with his presence. I do know that I was not the only one there to apologise for my boorish teenage behaviour all those years ago, & Wilf, a gentleman as ever, just said quietly “Young boys & girls behave as they do”. I think his kindness at that time almost made me feel worse, but I’m glad we were able to have that conversation. Typically, he seemed to think he was honoured to be there; we told him that he honoured us by his presence, not the other way around. These lovely pictures of Wilfrid were very kindly lent to us by Mrs Sheila Holloway. 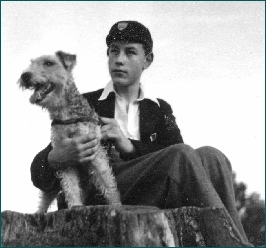 With his dog…aged about 11 ? Many thanks to Sheila for the loan of these previously unseen photos. We would be very grateful to see any old photos to add to the archive on this site. All photographs are treated with the utmost care, and after scanning are returned immediately to their owner. In the 1980s, we asked Wilfrid (Yes, it was actually spelt that way) to provide some tutoring for our son Simon. Wilfrid would come round in the afternoon and spend an hour with him. One day we were chatting, and he mentioned about the time he had been in Pakistan. “Oh, was that during the war?” I asked. 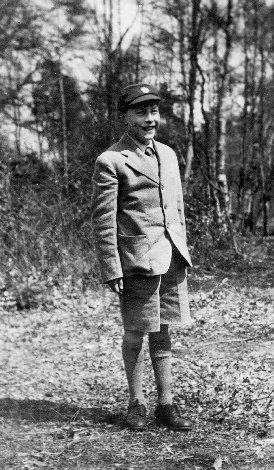 “Oh, no, I was a chocolate soldier – I looked after German POWs”, he replied. I believe they gave him a rifle, but perhaps didn’t trust him enough to give him bullets as well. The story came out that an old university friend had a daughter, whom we shall call Sharon, who had gone off the rails somewhat and fallen out with her family. She had a child by one father, then married a Pakistani in Birmingham, I believe. At some point she had gone to Pakistan, where she had been arrested, and thrown into jail for drug smuggling. Her father had washed his hands of her and had done nothing. So Wilfrid jumped on a plane and went to Pakistan. There he went and confronted the Justice Minister, and somehow got Sharon sprung from jail. Wilfrid and Sharon then travelled back to the UK. I imagine this happened soon after Wilfrid retired, so possibly had the funds available at the time to pay for all this expense. Sharon saw this knight in shining armour, no doubt smartly attired, and apparently well off, appear out of the blue to rescue her. So she afterwards would write to Wilfrid from time to time, saying she needed money for the kids, etc. Wilfrid would send her some money, but limited the damage as much as possible. Then, a little later, things became too hot for Sharon in Birmingham and she had to make herself scarce. She jumped on a train to Taunton with her daughter, and then got a taxi to Thorncombe. Wilfrid had no phone of course, so she couldn’t warn him she was coming. It was in November, and late in the evening. The taxi sped through the night and then stopped. All was dark. “I wanted to go to Thorncombe” she said. “This is Thorncombe,” replied the driver. “But there’s no lights . . . . . “ she said. Sharon and her daughter then went and knocked on Wilfrid’s door. Imagine the shock and horror on both sides – Sharon at the state of the house, and Wilfrid to have two “young ladies” visiting. To those who didn’t know Wilfrid when he lived there, the house had not been decorated for about 40 years, so was pretty much a uniform dingy brown, kitchen surfaces piled high with papers and all sorts, no hot water, no bathroom, etc., etc. . . . . David Woodman used to come round and tell him when the woodwork needed painting, or repairs were needed. We know all this because Wilfrid then came charging round to our place, and hammered on the door. He was rather like Robertson Hare in the early Carry On films – “Oh, Calamity!! !” Wilfrid wanted to phone for a taxi and arrange a hotel for the two ladies, as it was clearly impossible for them to spend the night with him. We told him to send them round to us and we put them up for the night. In the morning, to Wilfrid’s enormous relief, we shunted them off to Taunton and put them on a train back to Brum. Wilfrid continued to send money to Sharon on occasion, and presumably that went on for some time thereafter. How gallant. Wilfrid, dated May 1st 1932, near Bournemouth. 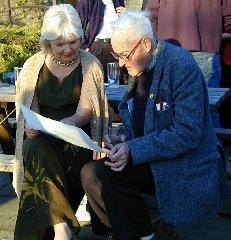 Eve Higgs writes … everybody who knew him has their own story to tell about Wilfrid. This is mine. My husband John and I moved to Thorncombe in July 1998. Our house backs on to Potter’s Field, as it is known locally, so we got to know Wilfrid as near neighbours. He used to let us burn our garden rubbish on his field and would often join us for a chat in front of the bonfire. Until his death in 2008, Wilfrid Potter lived at Worcest er on Chard Street. Mr Potter had lived there since boyhood and was descended from an old Thorncombe family. He was a much loved and respected member of the local community. 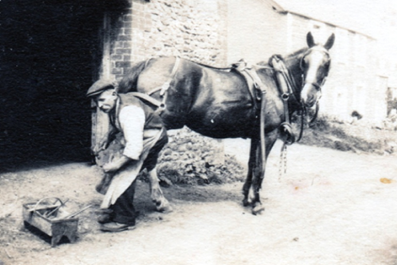 Wilfrid’s grandfather, William Bonfield, was the village blacksmith. William is pictured here outside his smithy in front of Little Orchard on what is now known as the High Street, previously Fore Street. Thomas’s Place is in the background. The Bonfields were also the licencees of the Crown public house further down Fore Street and Wilfrid’s uncle Albert, Marina Atyeo’s grandfather ran the shop opposite the Royal Oak. 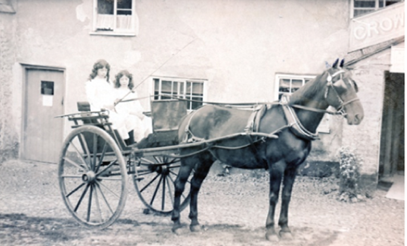 Wilfrid’s mother Dorothy Bonfield, is seen here with her sister Helen outside the Crown. 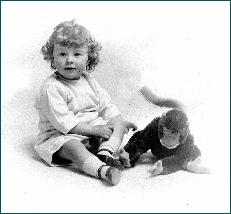 Wilfrid grew up in an all female household consisting of his mother and his grandmother Bessie Bonfield, who is said to have ruled the roost. He told my husband John and me that his father, Ernest Potter , who was the tenant at Thorncombe Farm, lived separately from his wife and child on Granny Bonfield’s orders, and that as a child Wilfrid had to visit his father in secret at his house on The Terrace at 4 High Street. Bessie sold Worcester and the field behind it to Wilfrid for £450 in 1948 but continued to live there for the rest of her life. He also told us that he was threatened by his grandmother with disinheritance if he continued to court a Winsham girl who’d caught his eye. As a child Wilfrid was forbidden to play with local children, so his seems to have been a lonely childhood with only books for company. Mr Potter’s strict upbringing resulted in him often being all things to all men. Unmarried and childless, his gentle nature brought out protective instincts particularly in women. But while he was always amenable face to face, Wilfrid might subsequently claim to others after a given event, usually involving an invitation which he always claimed he felt obliged to reluctantly accept, that he had been coerced into acting against his will, which could result in misunderstandings between neighbours springing to his defence. During World War II, Wilfrid was in one of the tank regiments but evidently not the most effective of soldiers. One day, he fell asleep while guarding a group of German prisoners, and narrowly missed being put on a charge, the prisoners waking him up and handing him back his rifle just in time as his senior officer approached. A great cricket enthusiast, animal lover, and pianist, often to be heard playing at night, Mr Potter was a keen choir member throughout his life. 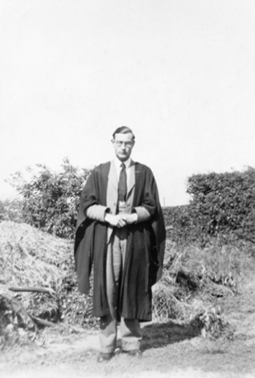 Wilfrid was also a classics graduate from Worcester College, Oxford, hence the name of his house and had a career as a Latin teacher at various schools in Sussex, and in the Cotswolds, returning to Worcester in the holidays, before retiring to Thorncombe in the 1980s. A gentle shy nervous individual with lovely old-fashioned manners, doffing his hat as ladies approached, Mr Potter was a familiar sight around Thorncombe, during his latter years, dressed in worn belted gabardine rain coat tied round the middle with string, an old peaked hat with ear flaps pulled down over his ears on cold days, riding to and from Chard to do his shopping on his ancient sit-up and beg bicycle or striding off purposefully clutching his brolly across the fields for lunch at a distant farmstead. Car driving neighbours would often pass him on his way back to Thorncombe, his handle bars hung with supermarket carrier bags, pushing his bike up the hills. It took a lot of persuasion to get Mr Potter to agree to allow the bags to be taken on ahead and he rarely accepted offers of lifts no matter how awful the weather. Back at Worcester, he appeared to live on Heinz tinned soup which was lined up neatly on a wooden shelf above an old electric cooker, next to a rickety 1950s ‘kitchenette’ cupboard with glass sliding doors and drop down flap. In his incredibly untidy kitchen, a snug country bachelor cave, the table was piled high with torn envelopes, letters, papers and books etc. The last time I saw Wilfrid, he was sitting on his wonky armchair in front of a very shiny halogen fire, reading Cicero in the original. 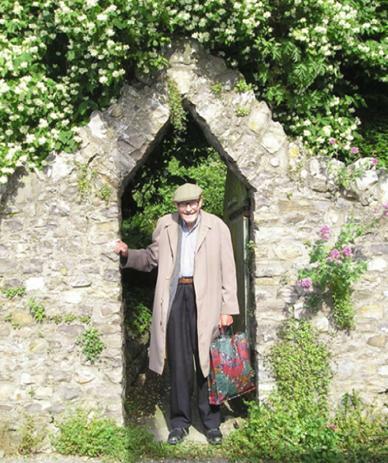 Such was the local affection which he enjoyed it was inevitable that during his final illness, Wilfrid would be looked after by a devoted team of local friends and neighbours enabling him to stay in his beloved Worcester almost up to the end of his life. There was standing room only at Wilfrid Potter’s funeral which filled the parish church. It seemed as though all of Thorncombe had turned out to say goodbye. Buried in the same grave as his father in St Mary’s overflow churchyard, father and son are finally reunited. With the exception of the first photo taken in 1932, these photos were among those found in Wilfrid’s house after he died and given to his cousin Marina Atyeo who has kindly given permission for them to be reproduced here. If you have your own memories of Wilfrid to add to these recollections, or would like to write a memoir about another Thorncombe resident , or have photos of old Thorncombe you would like to share, please email us at villagetrust@hotmail.co.uk . 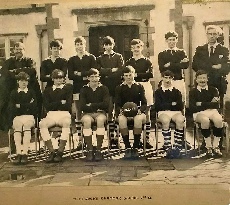 We have recently been contacted by two of Wilfrid’s former pupils in Northleach in the Cotswolds. The Grammar School where he taught has been demolished and a new housing estate is planned to be built on the site. One of the new roads is to be named in memory of Wilfrid - a fact that has delighted everyone that has been told of it. 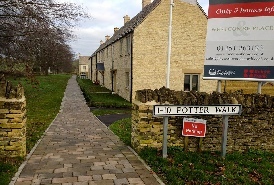 The name - Potter Walk - is particularly appropriate as he walked or cycled everywhere. We will update this site as more news becomes available.